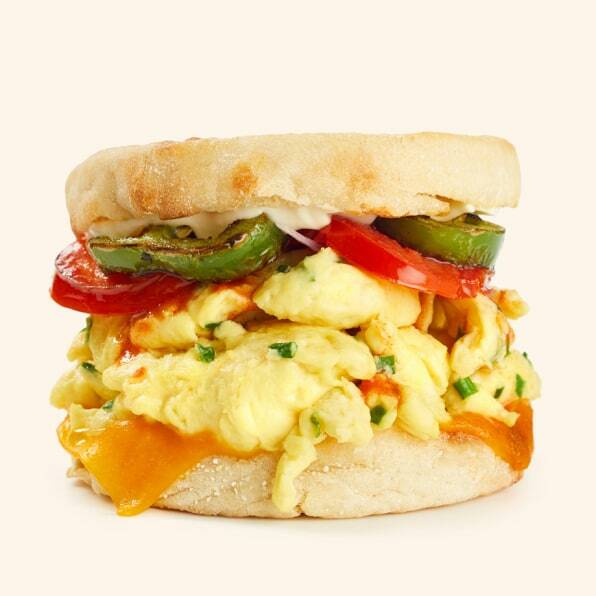 Soon, when you order a breakfast sandwich or a scramble at New Seasons Market, a local chain in Portland, Seattle, and Northern California, you’ll bite into a yellow, fluffy food that tastes just like an egg, but did not, in fact, come from an animal. Instead, what you’ll be eating is a mung bean, a legume that people have been eating for thousands of years that, when ground into a liquid, happens to scramble and gel just like an egg. 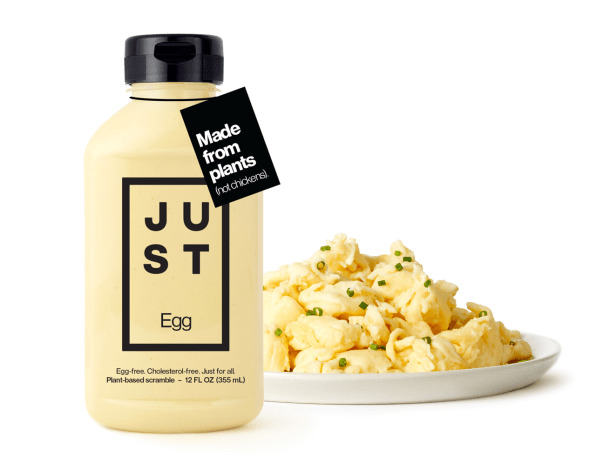 Mung beans are the key ingredient in Just Egg, the latest product from Just, Inc.–the company formerly known as Hampton Creek, which manufactures plant-based alternatives to products like mayonnaise, cookie dough, and salad dressing. Just Egg, a liquid that scrambles in a way that’s eerily similar to an egg when cooked in a pan, is derived from mung bean protein, and colored with turmeric to mimic the light yellow of an egg. It’s slowly rolling out in stores and restaurants across the U.S., and New Seasons Market is considering replacing its regular eggs with the mung bean mixture. While companies like Impossible Foods and Beyond Meat are tackling the same issue by developing plant-based alternatives to meat products, Just is focused mainly on ending our dependency on farmed eggs. Each year, the egg industry distributes around 68 million tons of product, generated mainly through battery-cage farms. Packing thousands of hens into close quarters results in a large and cheap supply, but also a host of environmental concerns, from methane emissions to soil and waterway pollution. On top of that, an enormous amount of soy, corn, and water goes toward feeding the chickens that lay the eggs. Smart tupperware pings you when your food is spoiling.